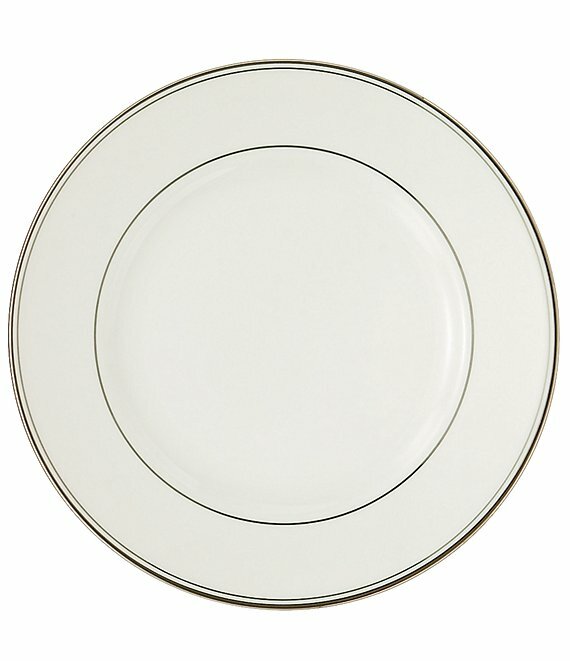 This simple yet elegant salad plate from the Kilbarry collection by Waterford features a polished platinum inner ring and trim. Approx. 8". Bone china. Dishwasher safe. Imported.